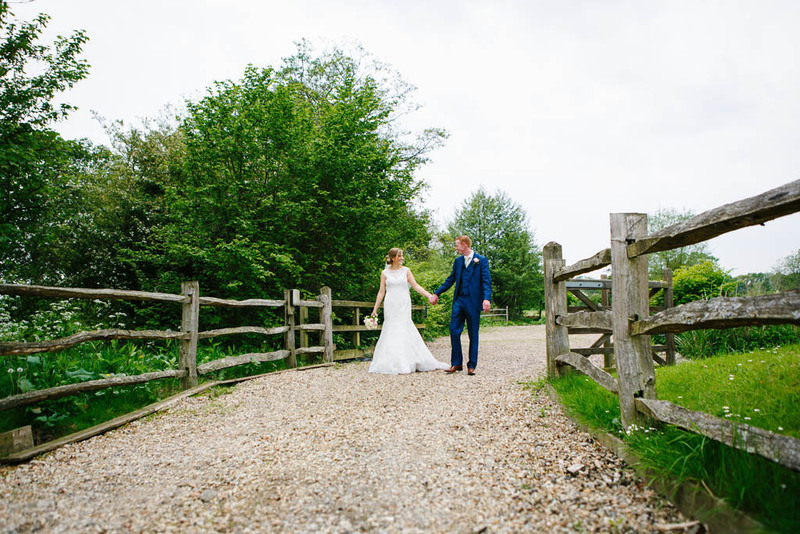 Coltsford Mill, which is located just outside of Oxted in Kent is a really beautiful venue and one that we have shot at on a couple of occasions now. 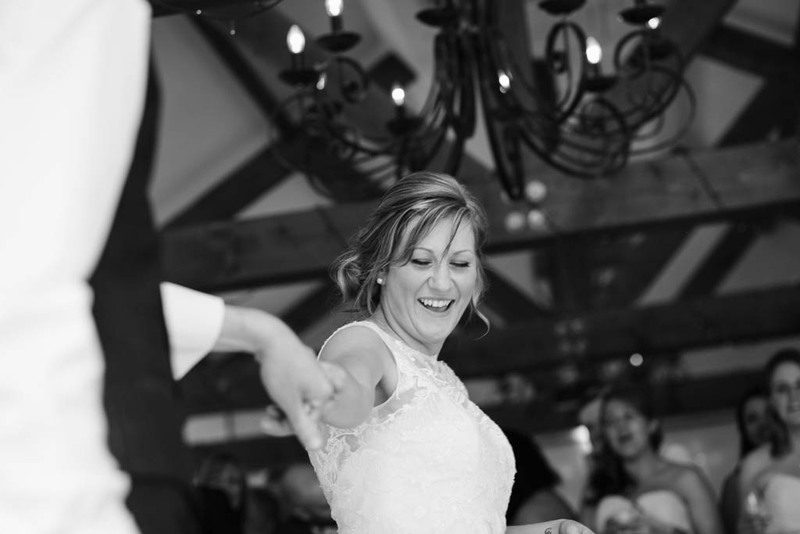 We wanted to feature a short selection of photos from a real wedding we’ve shot here, and also explain what it is we love about this venue. 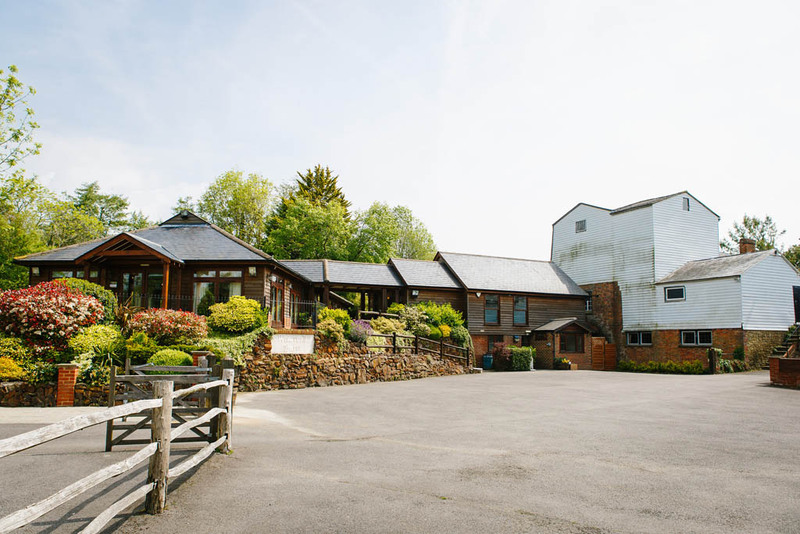 Although Coltsford Mill is in Kent you are still located just over 15 miles away from London and approximately 3 miles from the M25, so the links and proximity to the capital are great. 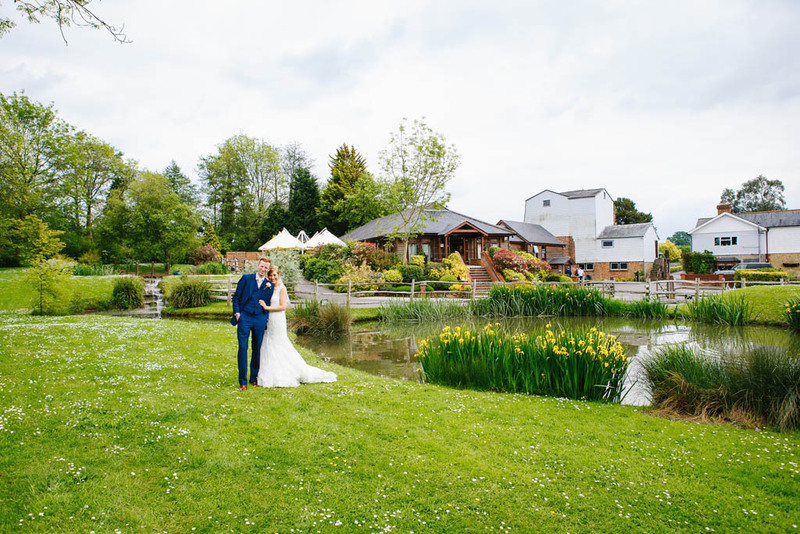 However, at this lovely venue you feel like you are really in the heart of the country. 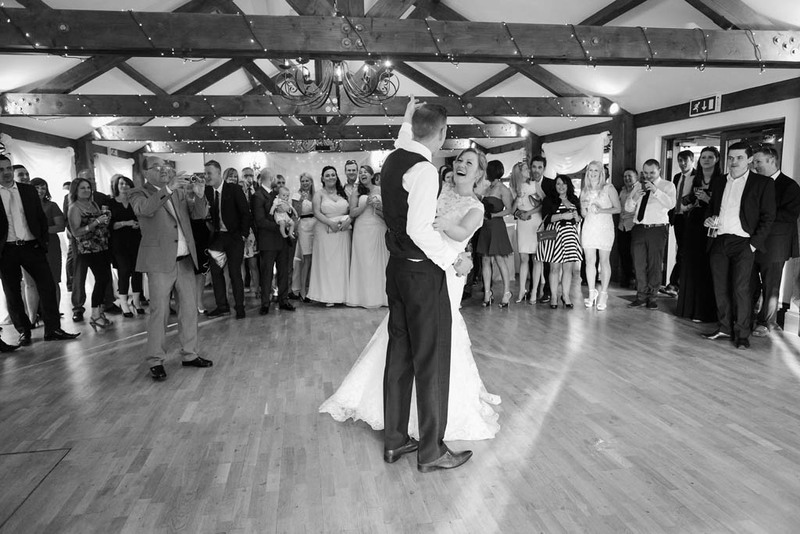 Like most of our favourite venues Coltsford Mill has a really chilled and relaxed feel to it too. As you may have already guessed we are not really fans of formality! 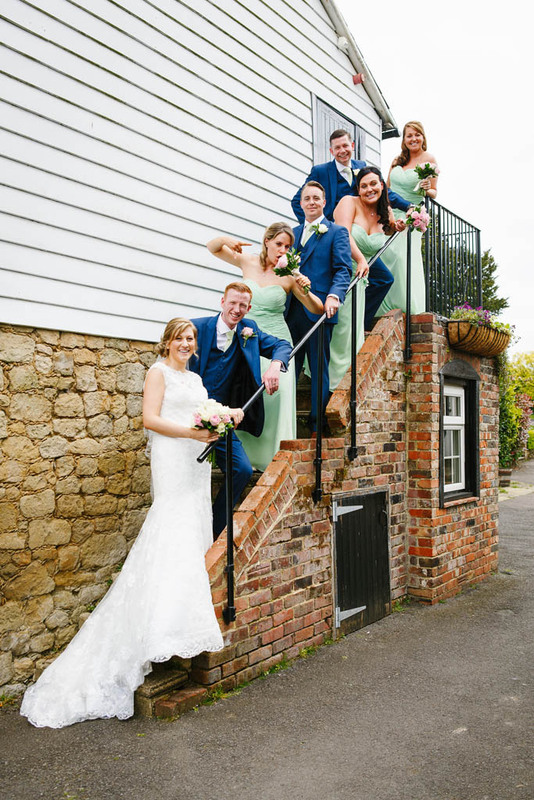 There are some wonderful spots to get wedding photos here too- the steps leading up to one of the 2 ceremony rooms are an ideal location for group shots. In addition there are some really beautiful locations around the lake on site too. 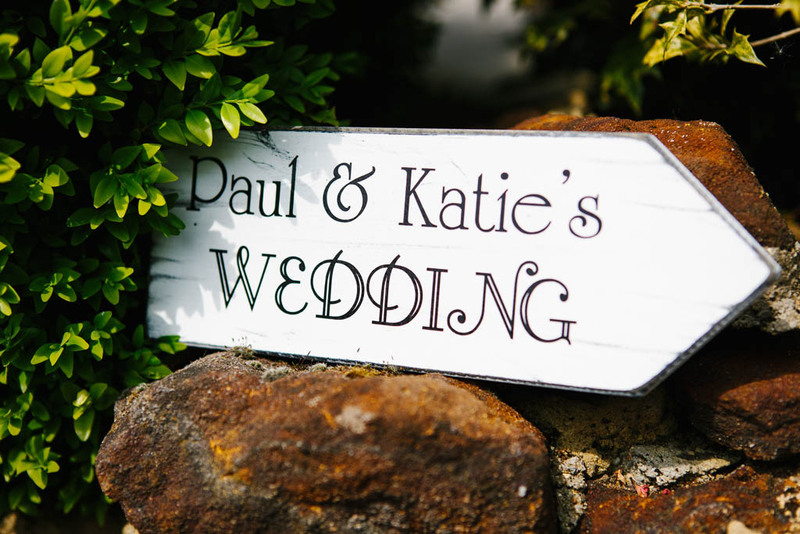 One of the other big advantages of hiring this venue for your wedding is the fact that you get access to the cottage on-site. 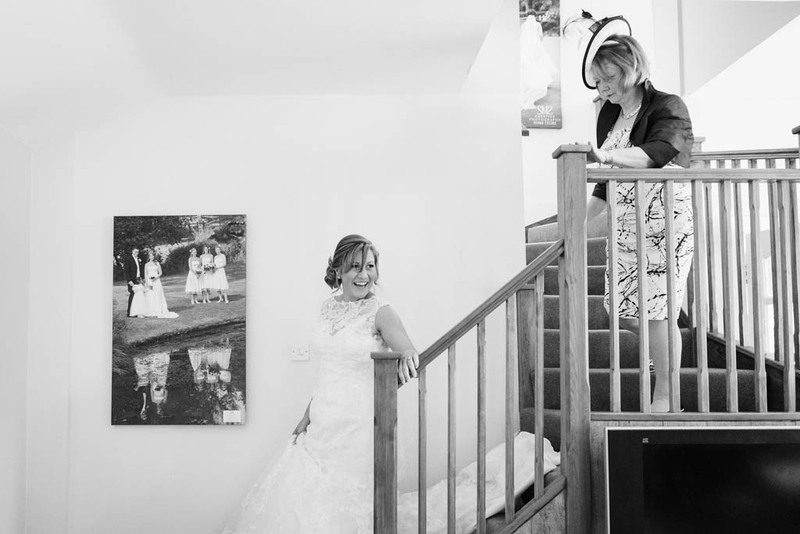 This is perfect for the bride when getting ready and means you don’t have to worry about getting to Coltsford Mill from your home location or a local hotel. 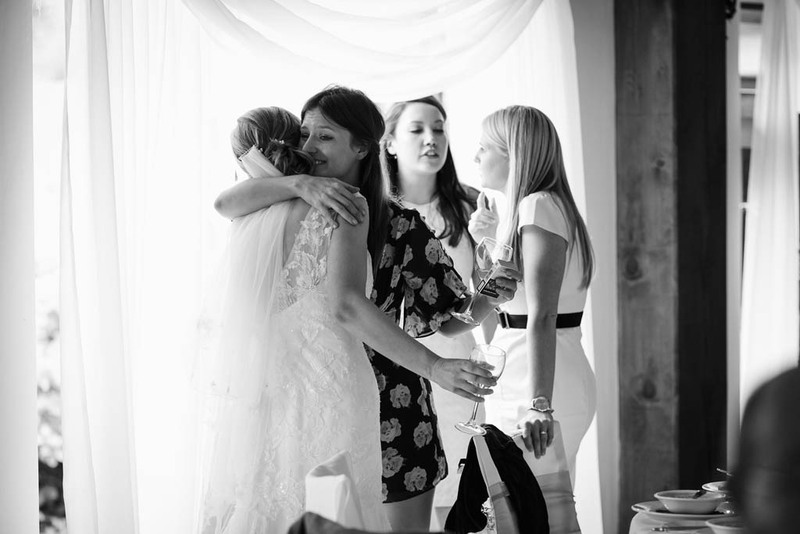 These kind of factors make a really big difference on your wedding day and are well worth considering! 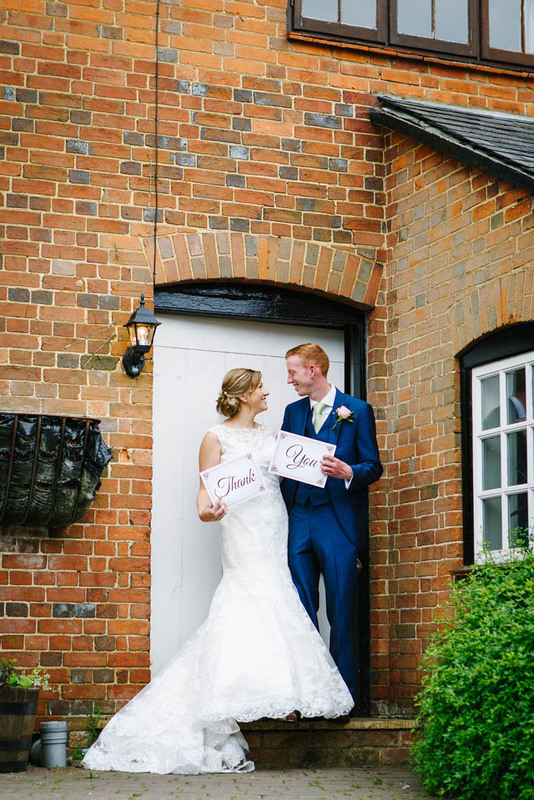 If you have booked Coltsford Mill for your wedding and are still looking for photographers then why not drop us a line- just click here and tell us your date and we’ll get back to you with our availability and more information on our approach, style and also pricing. 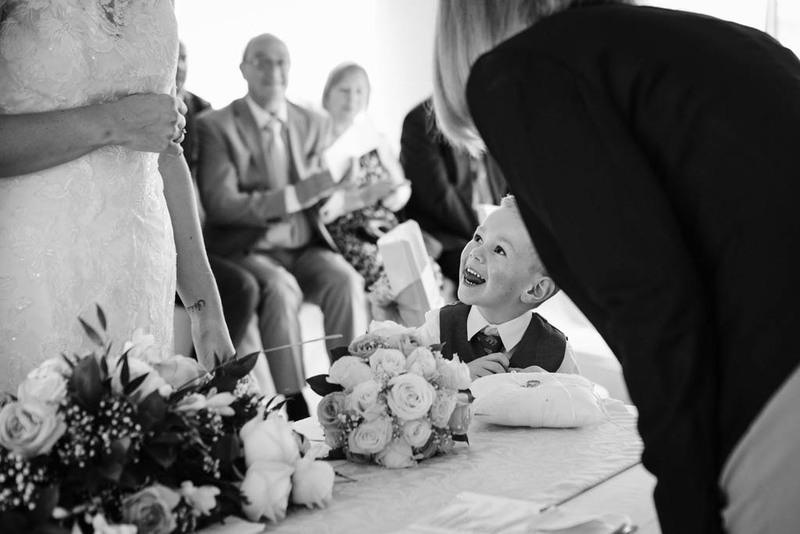 You can also browse our galleries too! 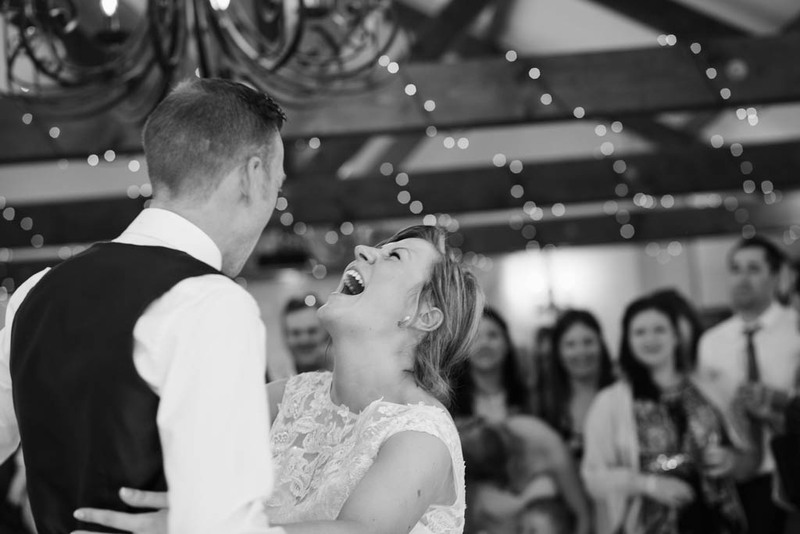 We are a husband and wife team, so as well as getting 2 photographers to cover your wedding you also benefit from the fact that we have a consistent style and approach too. 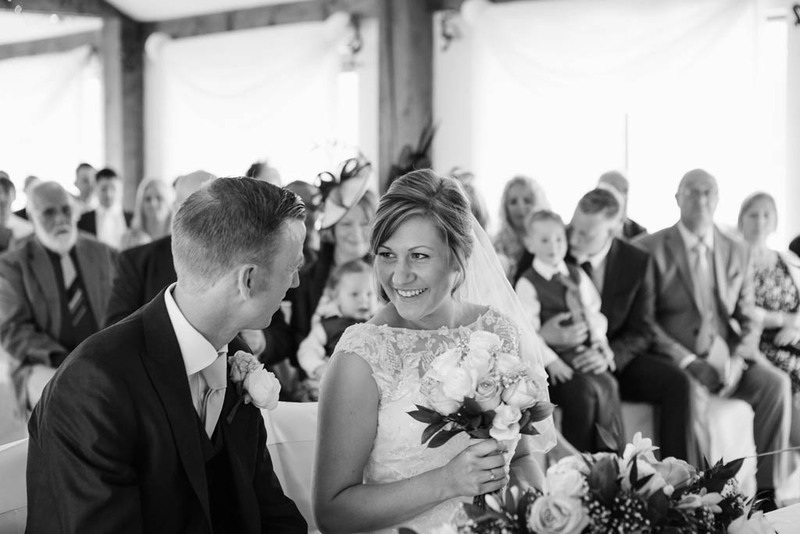 Plus we have the experience of shooting at Coltsford Mill before, with knowledge of the venue. 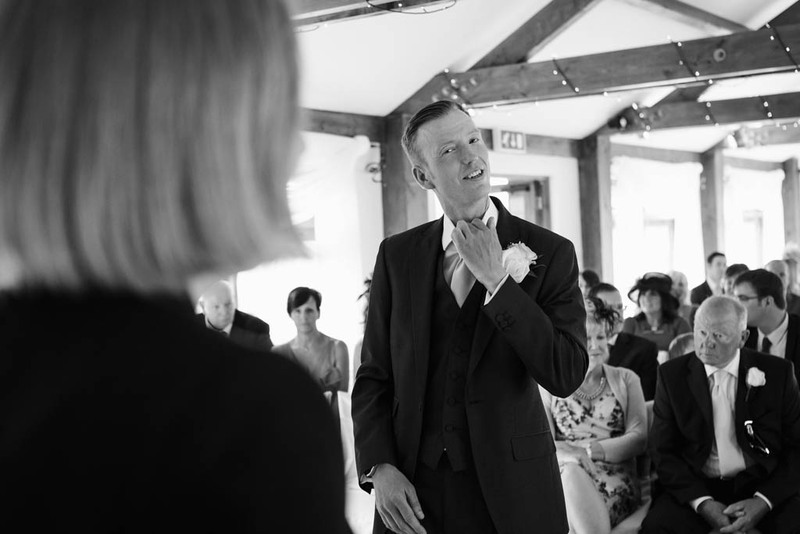 Our approach is very much to shoot weddings in a predominantly candid (documentary) style, focussing on telling the story of your day. 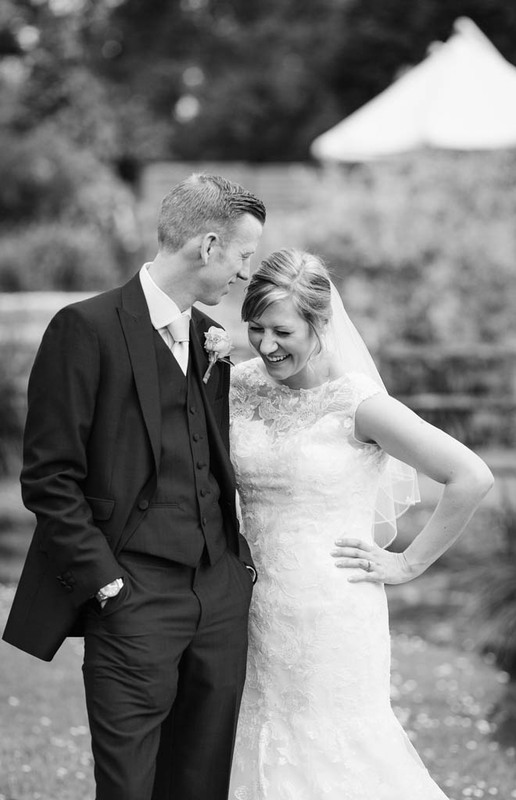 We do of course still shoot groups and couples portraits too, but we tend to keep these very relaxed.